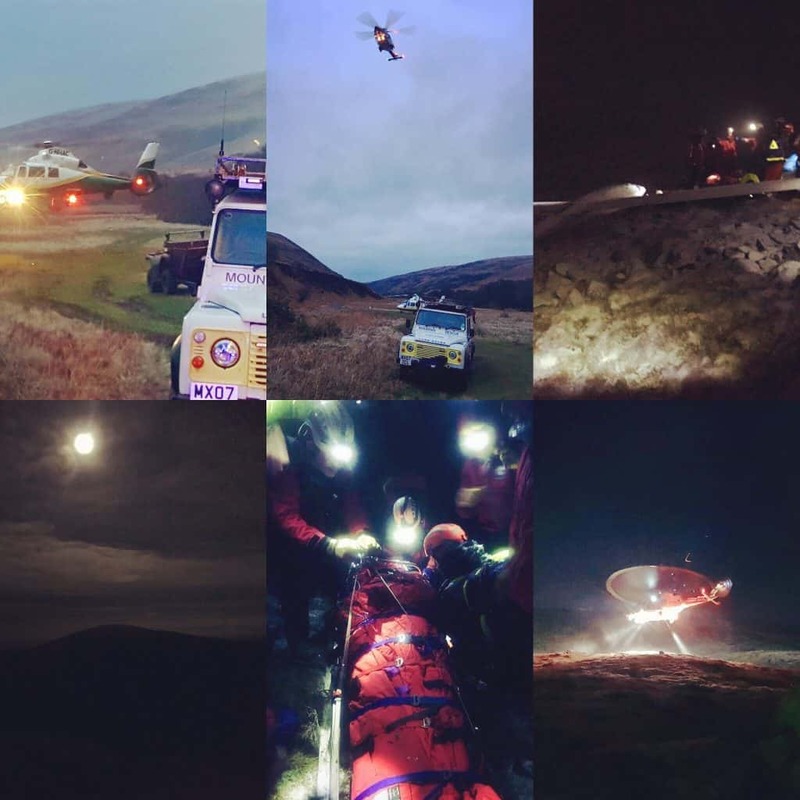 On Sunday 20th January, ourselves and Northumberland National Park were called out in a multi-agency response to a crashed glider high up on The Cheviot in Northumberland. Team members were swiftly deployed on foot to locate the crash site. Further team members with rescue equipment were then airlifted by the HM Coastguard Search and Rescue helicopter from Prestwick, along with Great North Air Ambulance Service medical personnel and Northumberland Fire and Rescue Service personnel with cutting equipment. Hill parties also made their way to the crash site carrying technical rope rescue kit. A 400m stretcher lower then ensued to below the cloud base and to a location where the Coastguard helicopter could hover and the pilot could be transferred onboard for the short flight to hospital. A big thank you goes out to the passing walkers who kept the pilot company and warm until Mountain Rescue arrived and to the gamekeeper who transported team members on his quad bike. Thanks to all volunteer team members for their dedication and ongoing commitment to training for such incidents and to their families for their understanding. In total, the incident lasted 8 hours and team members were stood down at around 10pm in the evening. Last but not least, we’re pleased to report that the pilot is on his way to making a full recovery!